We’ve all heard the old adage that “you have to spend money to make money.” While it is easy to dismiss sayings like that as trite shorthand for complex concepts that don’t take the reality of a given situation into account, sometimes adages hold up. Time and time again we have seen businesses rise to new heights after they weighed their options and decided to invest in themselves. One of the best ways to invest in your business is to look into heavy equipment financing. 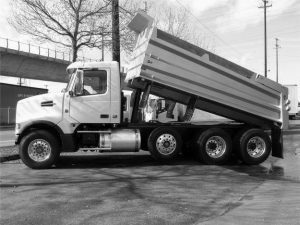 Contact Fleet Lending Solutions today to find out how we can help your business thrive with heavy equipment or commercial vehicle financing, or read on to see how investing in your business can pay off in ways that you might not have expected. If things are going well for your business, it can be difficult to take on the risk of financing a new piece of equipment. While you can absolutely hold off on investing more money into your business until it is absolutely necessary, this might mean that you will behind. There is always a right time to strike and it is usually just before it can completely pay for itself. The logic here is fairly simple: if you wait until you can outright afford a new piece of business equipment before purchasing it, you’ve lost an opportunity to be making more money before you reached that point. Obviously, your business is working and the best way to keep it growing is to give it the room and resources it needs to expand. Think about as if it were a rocket — if you can see, based on your calculations, that your business will get to a sustainable trajectory with its current payload (overhead, etc. ), it can be difficult to strap more ‘weight’ to your rocket if things are going well. However, when you look at the trajectory of things as they are now, you might notice several things. First, there will always be a dip further down the road. This dip can be can be caused by a number of things, including an inability to keep up with the demand for your work (which can lead to less competitive bids), equipment downtime, and increased costs of equipment. While it is definitely possible to get your business out of that dip, the cost will be significantly higher than if you would have invested in new equipment before you hit the downward trend. Investing in your business early will create what looks like a dip in your trajectory at first but it is actually a just a slight readjustment needed in order to move up at a steeper angle. One interesting part of this equation is to look at how much more energy (money) it takes the conservative rocket to catch up to the forward-thinking, early-investment rocket. Momentum isn’t just a concept in physics — we see it at work every day in business. The businesses who have planned and calculated how to grow most effectively know that they have to strike early and often to maintain an edge over others. If you’re ready to help push your business to the next level and to be prepared to meet the demands of the future now, call us at Fleet Lending Solutions. 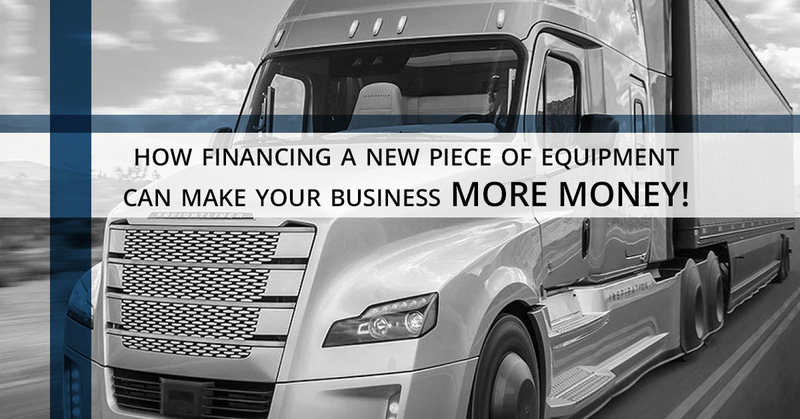 We can help you secure financing for heavy equipment, commercial vehicles, medical equipment, and many other kinds of business machinery that will keep your business profitable and competitive. At Fleet Lending Solutions, we can help you determine if now is the right time to push forward and how to make the most of your new investment in your business. Contact us today.